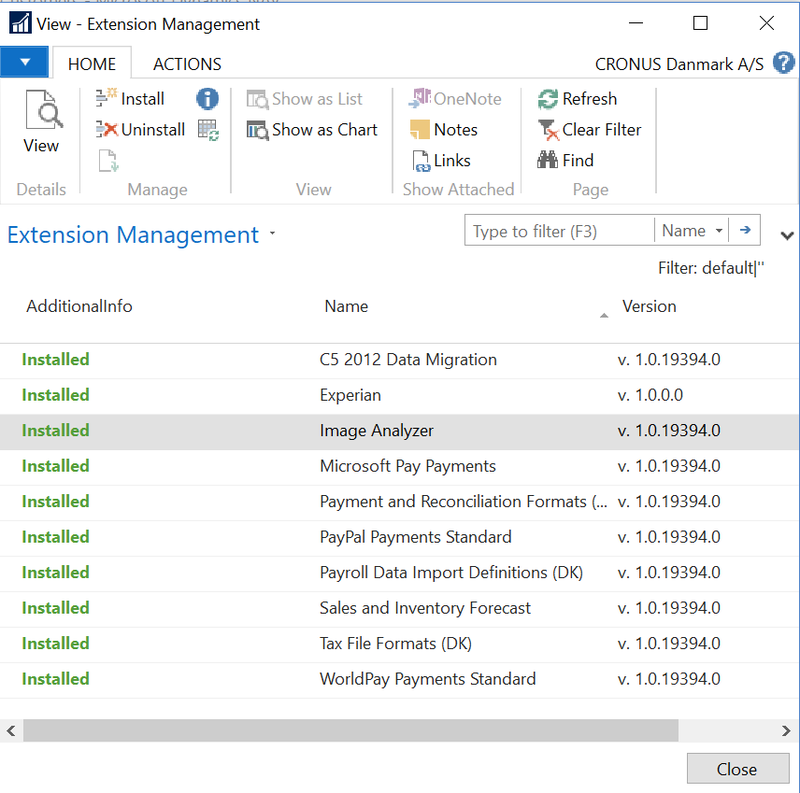 With NAV2018 you can have multiple extensions installed, and it is possible to make a dependency reference from one extension to another, but how? When downloading symbols, you’re only getting system and application. In this case, I want to reference the Image Analyzer extension. 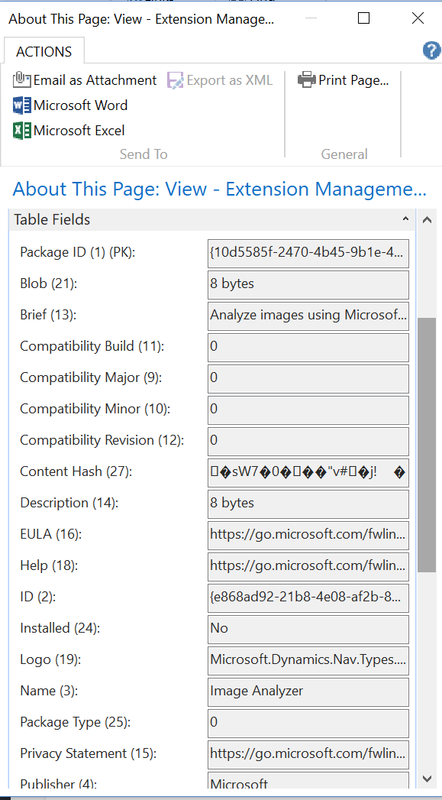 Please be aware, that several of the extensions installed in NAV2018 are still V1 extensions, and you can reference and download “symbols”, but the symbol file is empty. So currently it’s not possible to reference a v1 extension from a v2. We are interested in the ID, Name, Publisher and Version. 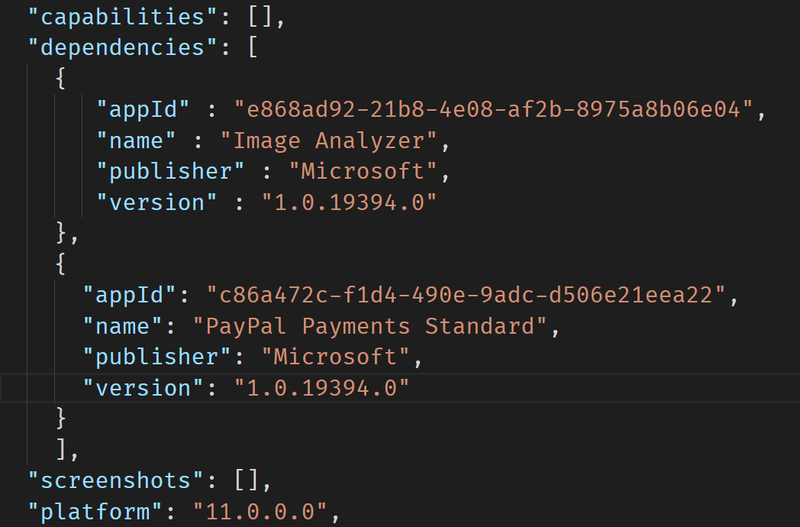 Here I have added dependencies to the Image Analyzer and the PayPal extensions (The PayPal being a v1 and does not work). Using AL:Download Symbols will give me four symbols files (the two dependencies plus System and Application.